Kenpo is one of the most effective forms of self defense in the world today. 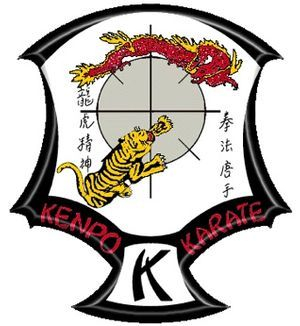 Kenpo teaches the skills to its practitioners to overcome a disadvantaged situation. Kenpo is a style that is based on logic and motion utilizing subjects taught in schools. Lesson and concepts taught in Kenpo can be adapted and transcended into everyday Life. It is one of the Arts that truly open doors for its students. Kenpo is system that trains the mind, body and soul of an individual to make them stronger not only physically but mentally and spiritually. People from all walks of life study Kenpo, children, teens, men and women of all ages. People who want to exercise and to learn a practical and applicable Self Defense System while at the same time, achieving higher levels of self confidence and improved coordination. 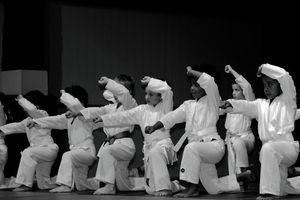 Unlike extremely strenuous sports or weight lifting people of all ages can learn and enjoy Kenpo. We tailor our lessons to fit your own physical capabilities; you can develop self defense skills at your own pace. Kenpo is 60% Arms and 40% Legs. You don’t need to be a high Kicker to do Kenpo. Have you invested in expensive health products, training equipment or physical activity only to become tired or bored with the activity and have nothing to show for your financial & physical investment? Kenpo Develops Mind Body and Spirit like no other activity. Even if you complete only an Introductory Course you will always have those acquired skills as a means of self defense or exercise to last for years to come. Senior Grand Master Ed Parker laid out his system in a fashion that was meant to not only cover a variety of attacks but in a way that was meant to grow the student and continually build upon what the student learned before. Just like a baby crawls before walking American Kenpo teaches you what you need to take your first steps and then get you running at full Kenpo Speed! Kenpo is a way of life, the skills you learn today will last a lifetime.